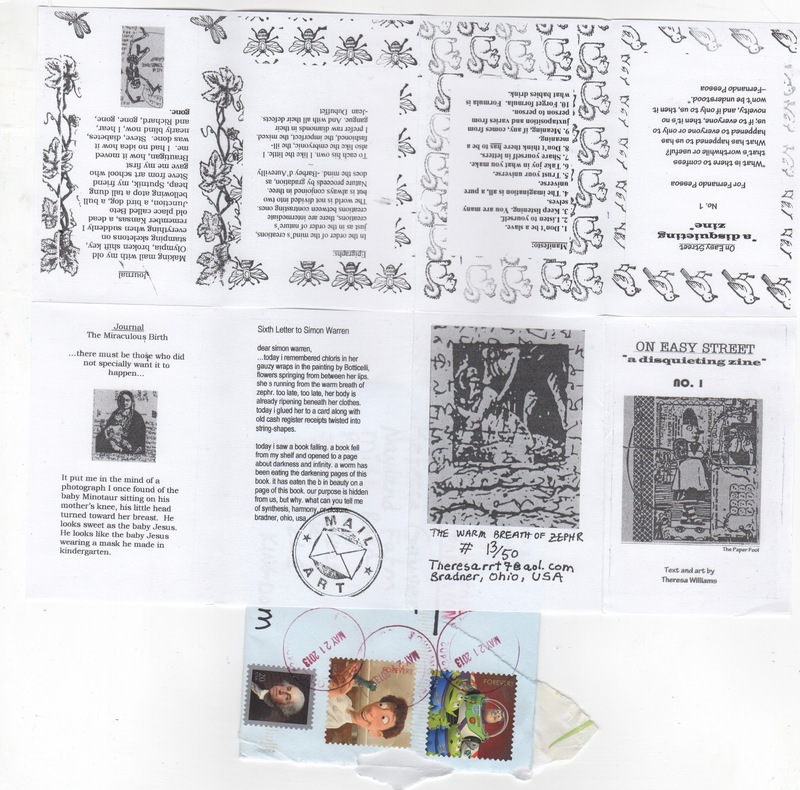 The Postal Ledger: Theresa is zining! Theresa wrote me in response to an off-line conversation. 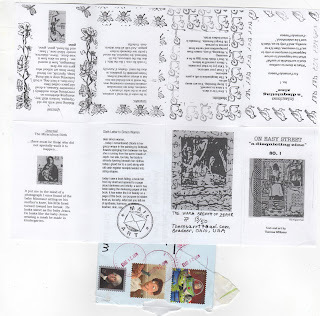 theresa writes that this Zine #1 is "The Miraculous Birth" One of the rectangles features a letter she has written to Simon Warren. Vizma finds lost mail and it's for me!